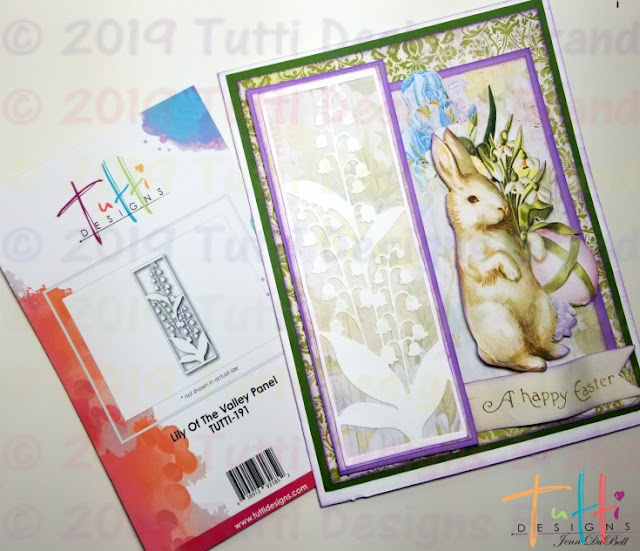 Tutti Designs: A Happy Easter to you! Hello everyone! Jenn here sharing a fun Easter Card! This amazing Lily of the Valley Panel Die from Tutti Designs is just perfect for this card style. 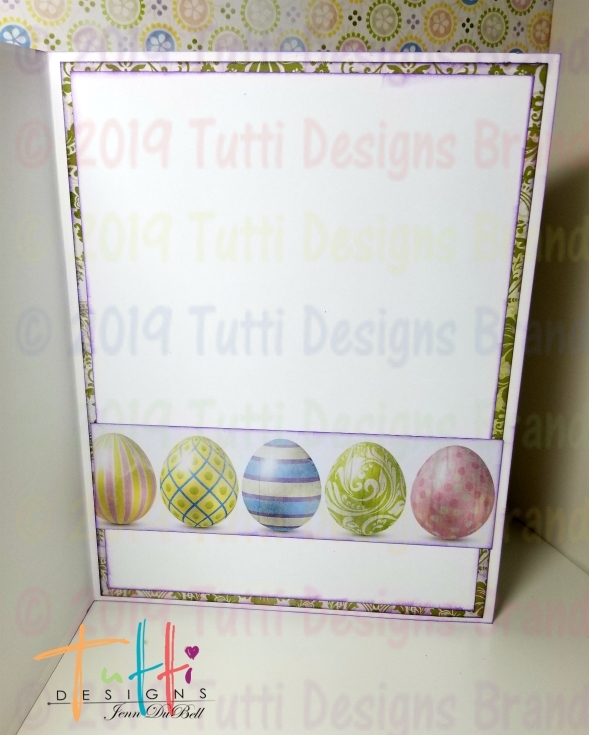 This die measures 2 X 6 which is the perfect size for a 5 1/2 X 7 card and is a beautiful touch to an Easter theme! To create my card, I started with a base cut from 8 1/2 X 11 white card stock. It was cut to 7 X 11, Scored in the middle at 5 1/2 and folded. 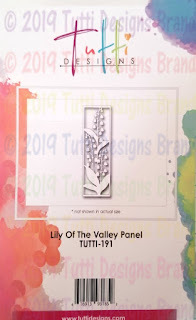 Lily Of The Valley Panel Die cut from white Card stock as well. 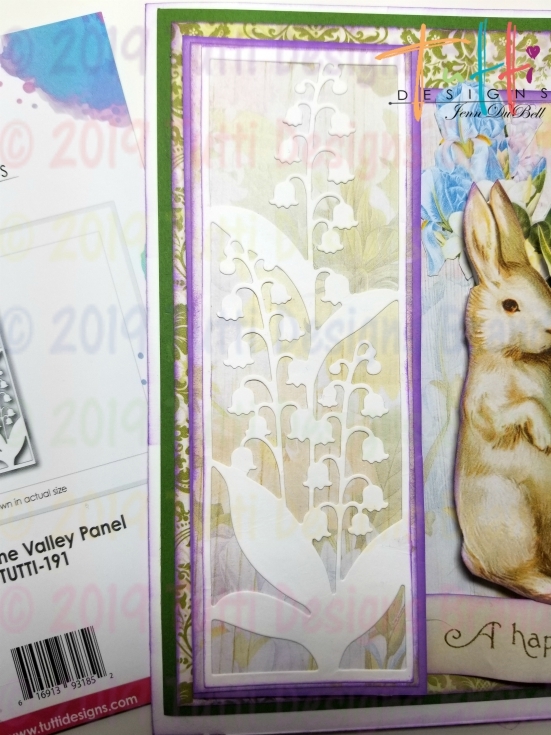 Fussy cut bunny, floral, and sentiment from paper collection. For my card I have used the Cottontail collection from BoBunny. All cuts were edged in ink using Distress Oxide in Wilted Violet. Start on the inside of the card by adhering the 5 1/4 X 6 3/4 patterned followed by the 5 X 6 1/2 white. The strip was cut from scraps and added for more detail. For the card front start by adhering the green 5 1/4 X 6 3/4 followed by the 5 X 6 1/2 Patterned. For the lily adhere the light pattern to the lavender and then the lily panel die cut. For the smaller panel adhere the two together and then adhere to the card front. 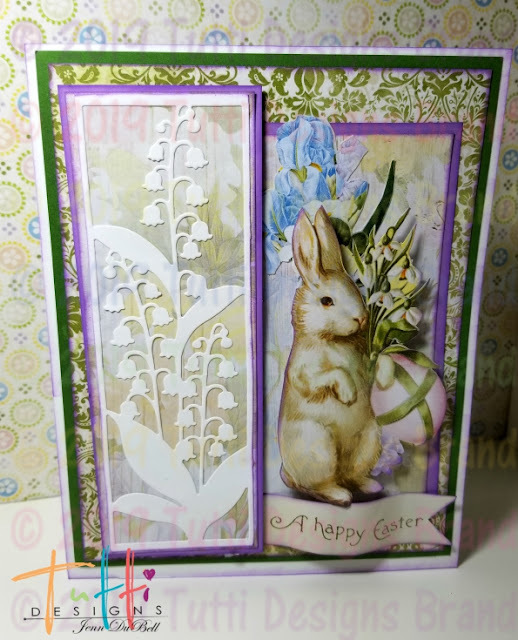 Use dimensional foam adhesive squares to pop up the lily panel and the fussy cut bunny. Add the sentiment cut out and there it is! A fun Easter card! Just look at the amazing detail that is achieved with this die!